Use these free shelf plans to build a wall shelf to hold your belongings, decorative items, candles, or whatever else you'd like. Building a shelf is a beginner woodworking project and these free shelf plans include everything you need to get the job done. There is step by step directions, diagrams, photos, and tips on how to build a shelf. 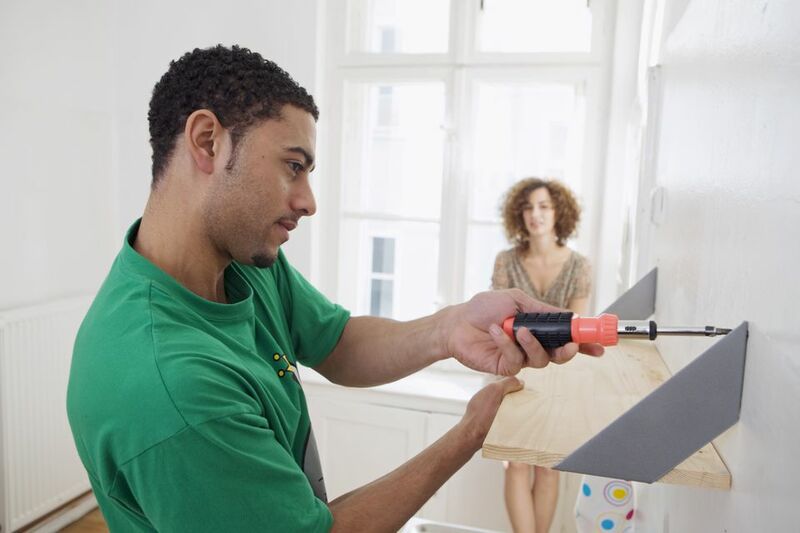 You'll have a quality shelf that looks great when you're finished. There are all different styles of shelves here so be sure to look through all of them so you can find a shelf plan that will look great in your home, or make an excellent gift. There's everything from book cubbies to hanging towel bars for your bathroom. If you're looking for shelving specifically for holding books, take a look at our free bookshelf plans as well. There are plenty of other free woodworking plans like those to help you build a step stool, desk, nightstand, entertainment center, farmhouse table, Little Library, tiny house, swing set, porch swing, home bar, tree house, loft bed, gazebo, and so much more. Modeled after a West Elm $179 pine cubby shelf is this free (given you already have the wood) knockoff from The House of Wood, and it does a great job at looking identical. The shelf has three holding areas perfect for storing mail and magazines. It's 36" tall by 12" wide and 6.5" deep. It should take less than one day to complete this project. All the materials, tools and some more information about the shelf are included in a PDF file you can find at The House of Wood website. This shelf is more an organizer because it can sit on another shelf or tabletop, but it can also be hung on a wall like a traditional shelf. The shelf is just over 28" wide and 8" tall. In addition to the main area, this plan details building a smaller area at the front of the truck for things like pencils. Every little detail for building this truck shelf like the cut list, materials that are needed, and more, are available at Ana White's website. That's My Letter has some more photos and details of this shelf that you can check out. This shelf is a bit different than the others in this list because it's a more casual shelf, which may be exactly what you're looking for. Though it's not ideal that the instructions for building this DIY shelf aren't as detailed as some of the other plans from this list, it's simple enough to put together with the details that are given. All of the tools required to build this shelf are given in the plan, even with links to where to purchase them if you don't already have them. There are plenty of things you can do with wood pallets, like build a simple wall-mounted shelf. The idea behind this shelf is very simple: cut out a section of a pallet, smooth down the edges, and attach a bottom to hold your things. There are lots of up-close pictures in this plan, so understanding how to make the shelf shouldn't be too hard at all. This tree-shaped shelf is perfect for Christmas but also useful for any time of year. When finished, you'll have four shelves that, together, make the entire shelf 32" tall and just over 20" wide. 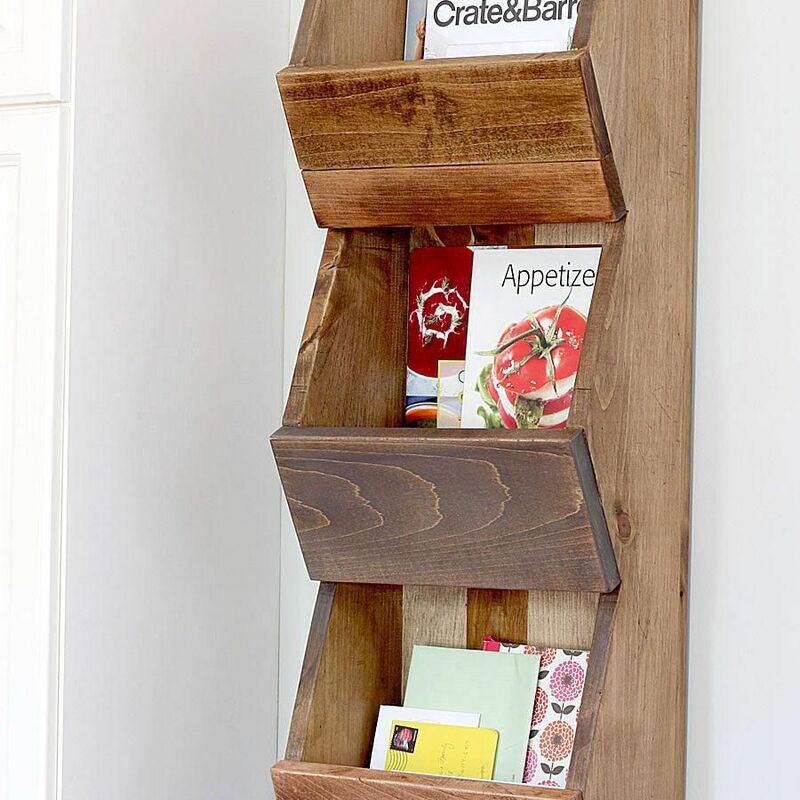 You'll need 12 feet of 1x4 boards, some plywood, and other materials to build this shelf. The full list of materials and tools needed are listed out just before the instructions. Each step of the building process is documented in detail on Ana White's website and more pictures of the finished shelf can be seen at That's My Letter. A dog bone shelf is perfect for holding a leash, dog treats, and anything else you may use with your dog. The instructions in this free shelf plan come with real construction pictures, so it's pretty easy to make sure you're doing this right as you move through the steps. As you can see in the picture, this shelf includes hooks on the bottom and 15" to 16" of shelf space on top. Also great for the holiday's is this snowflake shelf from Woodshop Diaries. The entire shelf is around 35" in diameter. Though this shelf seems complicated at first glance, we think you'll find it easy to work with if you walk through the steps carefully. We love this shelf because you can rearrange the dowel rods however you like to adjust the layout of the shelves; you aren't stuck with any particular design. The backboard used in this plan is plywood. After drilling all the holes, you're just left with hanging the shelf on the wall and determining where you want your shelves to be. This plan provides both written instructions and a video. This free shelf plan is also from Rogue Engineer, but it's much different in design. While it functions as a normal shelf to hold pictures and other things, there's also a hidden compartment just below it that you can pull down to store items you don't really want to be lying around. There's a short video you can watch that explains how the secret shelf opens. Ana White's shelves are much larger than any of the others ​on this list but that's because they're purposed for storage large containers and other big items in your garage. The shelf as a whole stands 6 feet tall and 20 feet wide, with all 12 individual shelves measuring 20" tall by 55" wide. This garage shelving should be pretty easy to put together given that there's a common structure across the whole thing. This free shelf plan is perfect for building a shelf in a bathroom, laundry room, kitchen, or any other space where you may need quick access to a towel or two. Several construction photos along with written instructions should help you put this shelf together in just a couple of hours.